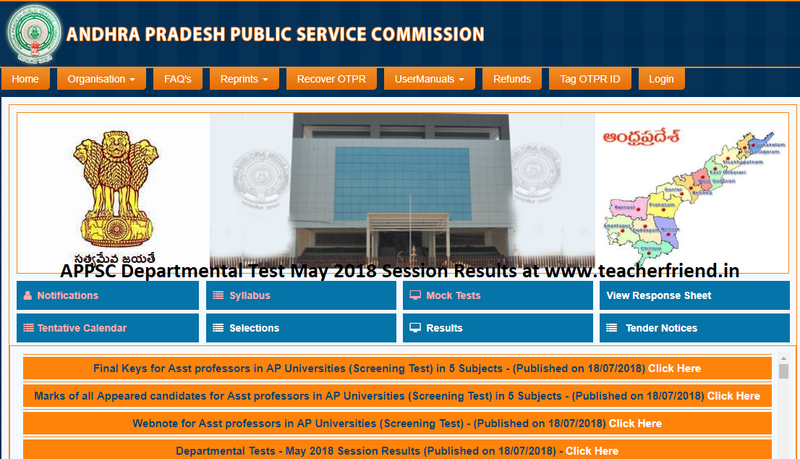 APSSC Service Comission Departmental Test May 2018 Session Results Announsed by APPSC Comissioner at 18/07/2018 the Appearing Candidates to cheeck and download Results and serial Number in the Results Sheet Download in official website at www.psc.ap.gov.in. Andhra Pradesh Public Service Commission in its endeavour to conform to the spirit underlying the formation of Public Service Commissions, has introduced the following measures to ensure fair and transparent process of selections. Problem analysis and suggestion of solutions. Knowledge of society and the economy. Awareness of technology and its potentiality. Quantitative skills and mental ability. Knowledge of Constitution, Law and Public Administration. Get Download EOT Test Paper Code 141 Results in below.